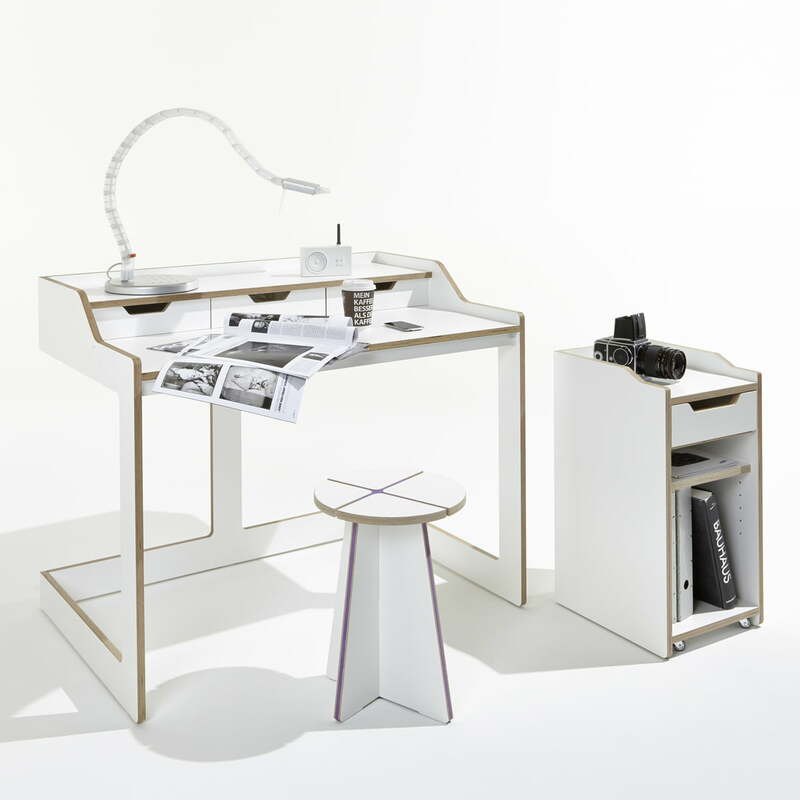 The Plane Desk by Müller Möbelwerkstätten is a robust piece of furniture which convinces with fine lines and a clever working space solution. 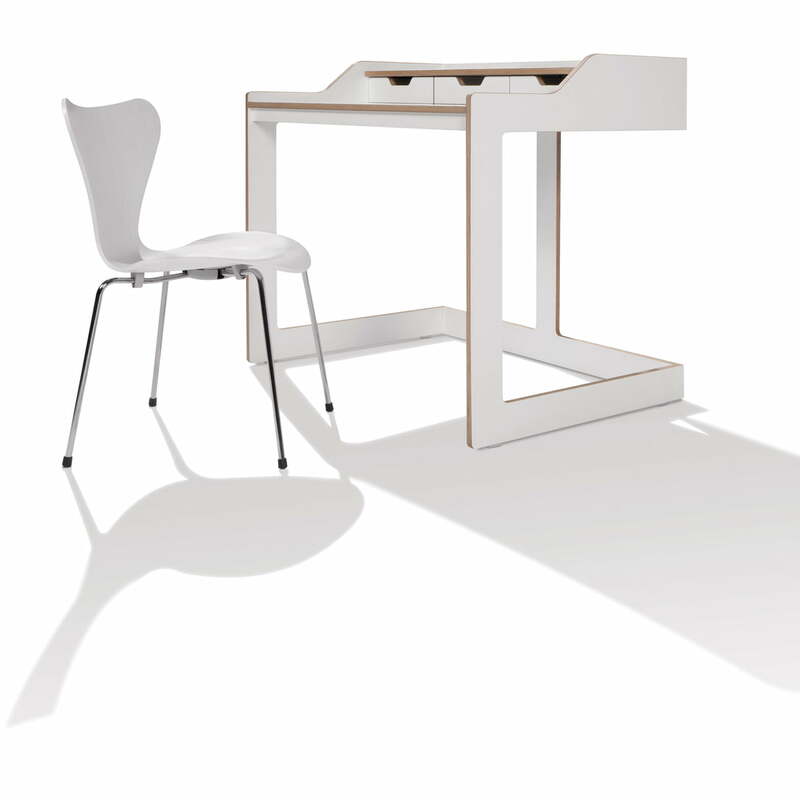 The Felix Stark desk is equipped with two drawers that are hidden under a covering board. 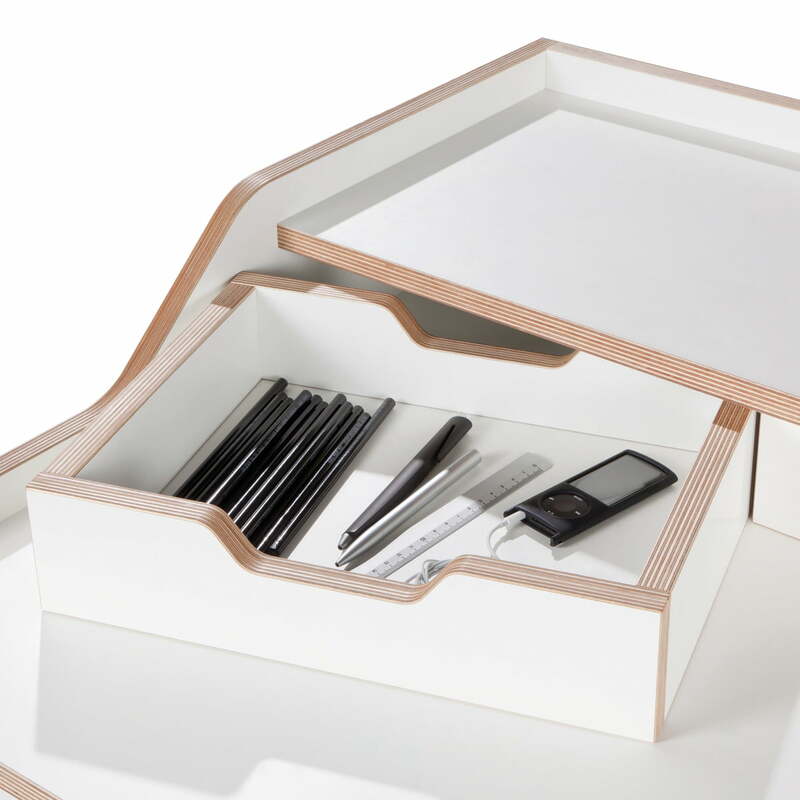 Between the drawers there is a third compartment that serves to hide cables. 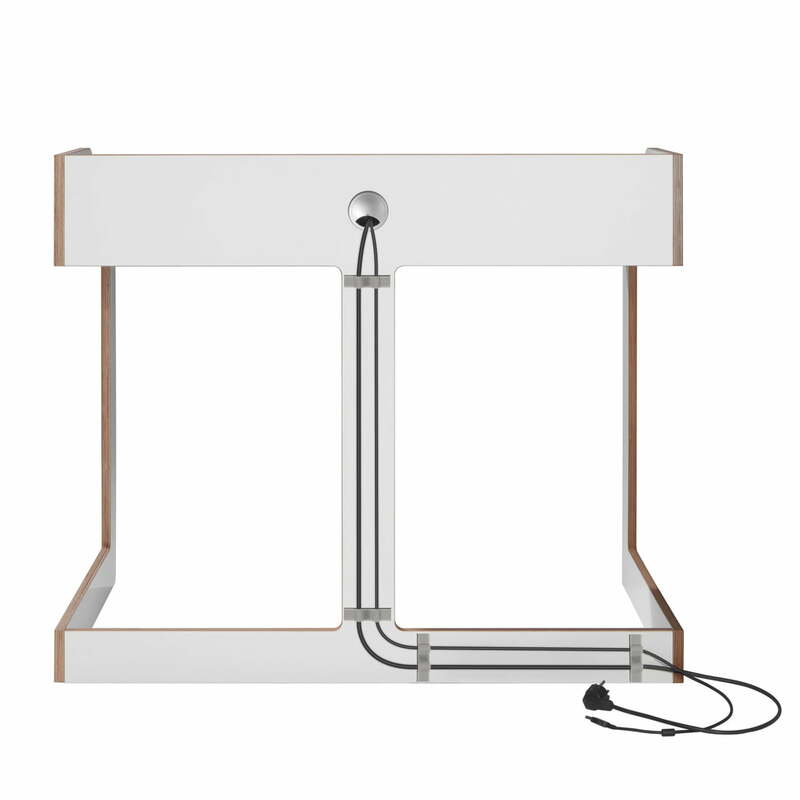 There are cable outlet holes on the back of the desk as well as in the table top. 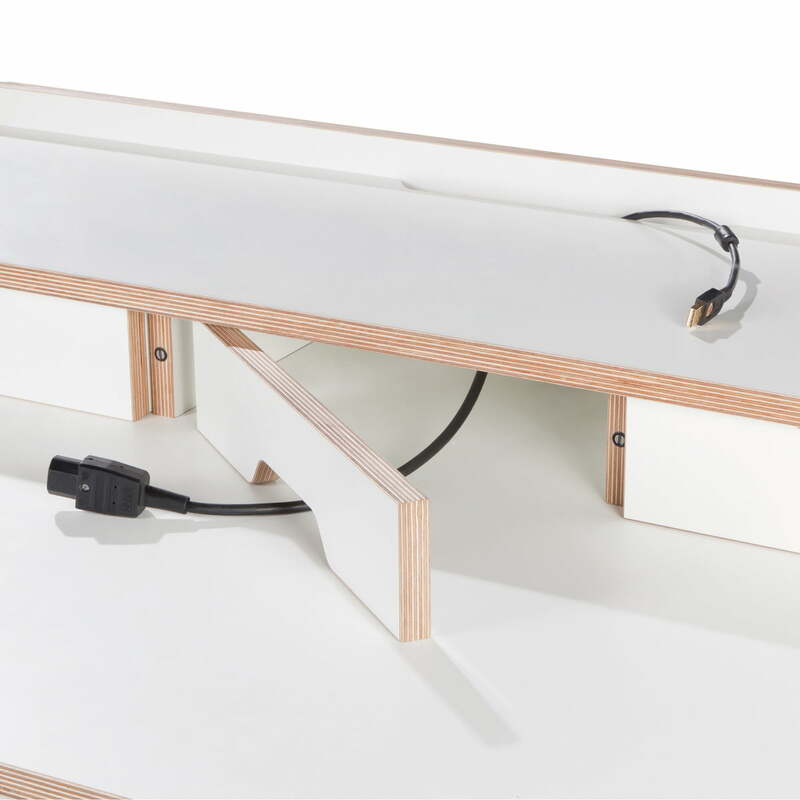 A thin board at the back of the desk further conceals the cables that lead to a power source. 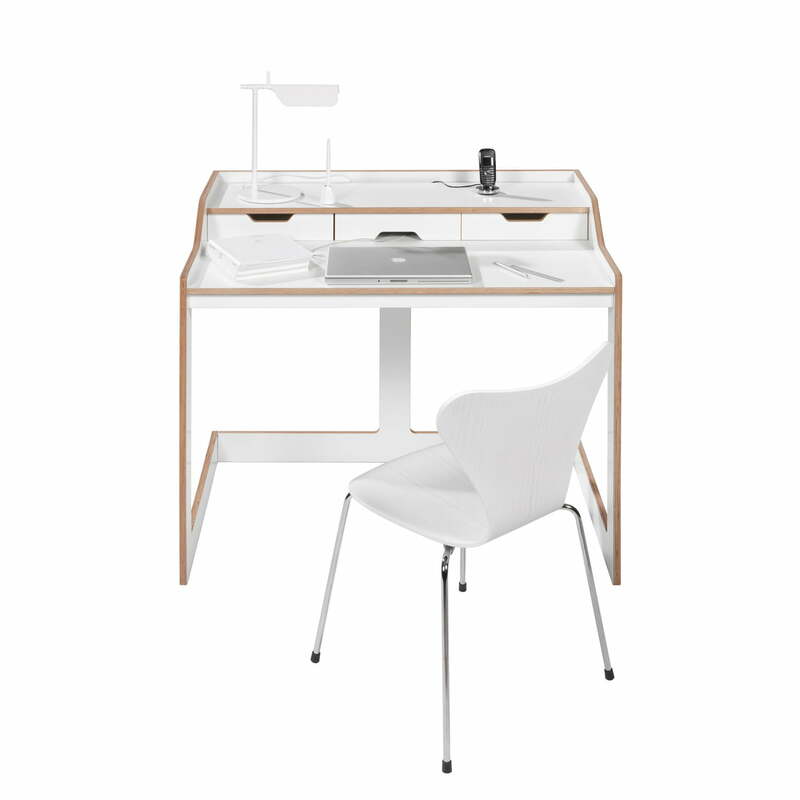 The desk is made out of birch multiplex boards and covered with melamine. The surfaces are lacquered white. 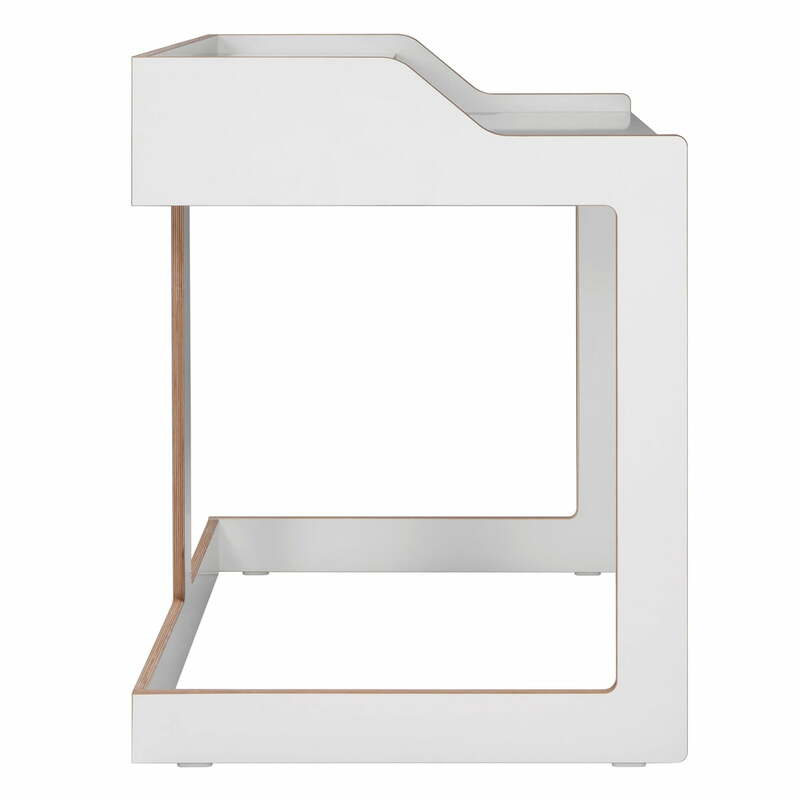 The edges are untreated and oiled. 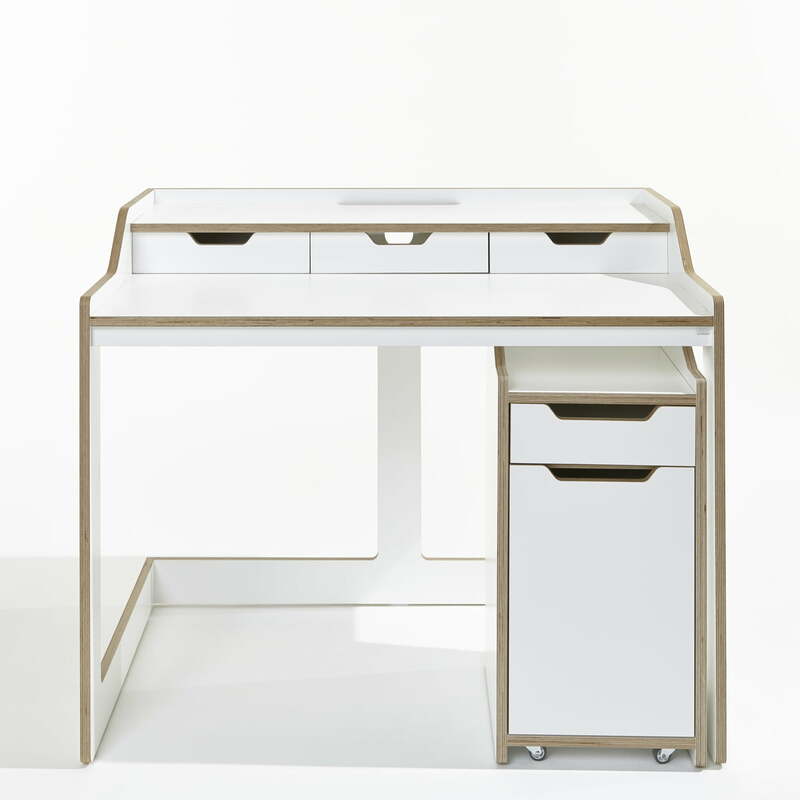 This creates the pleasant contrast of colours of the Plane Desk by Müller Möbelwerkstätten. 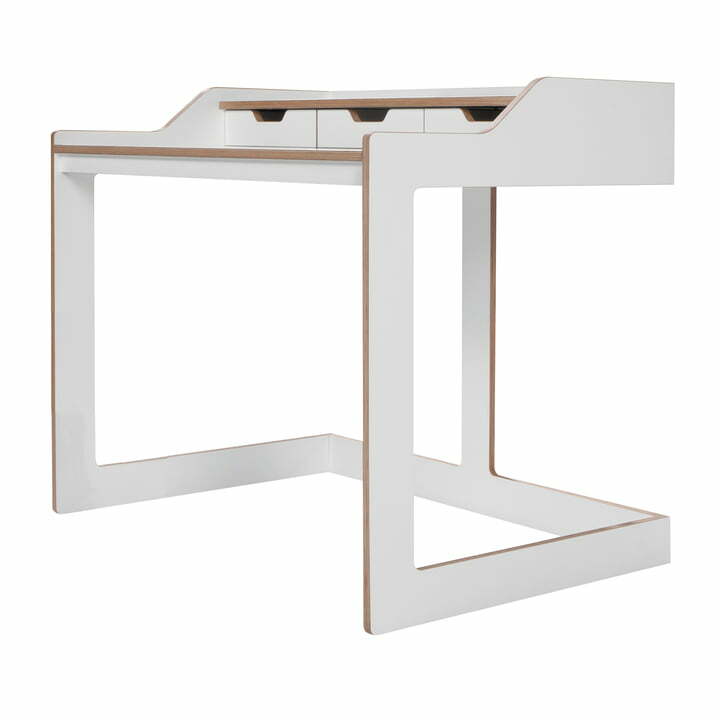 The Plane Desk is also available with a walnut front as well as with black edges. 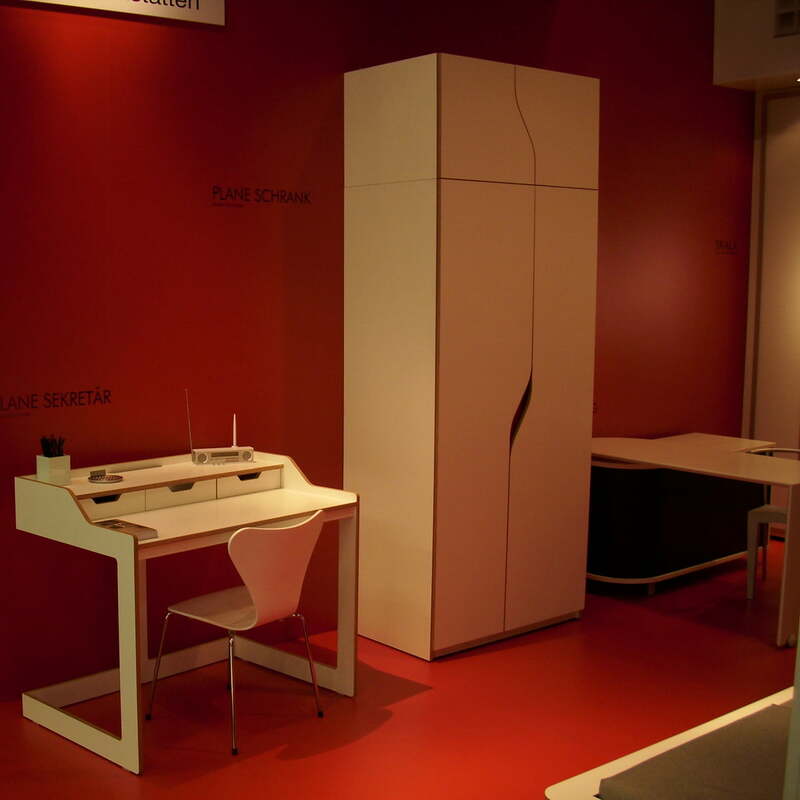 Müller Möbelwerkstätten also provides a matching Rollcontainer for the series.